Designed to suit a classic style, this acrylic and metal knob will add a touch of luxury and sophistication to your kitchen or bathroom cabinets. 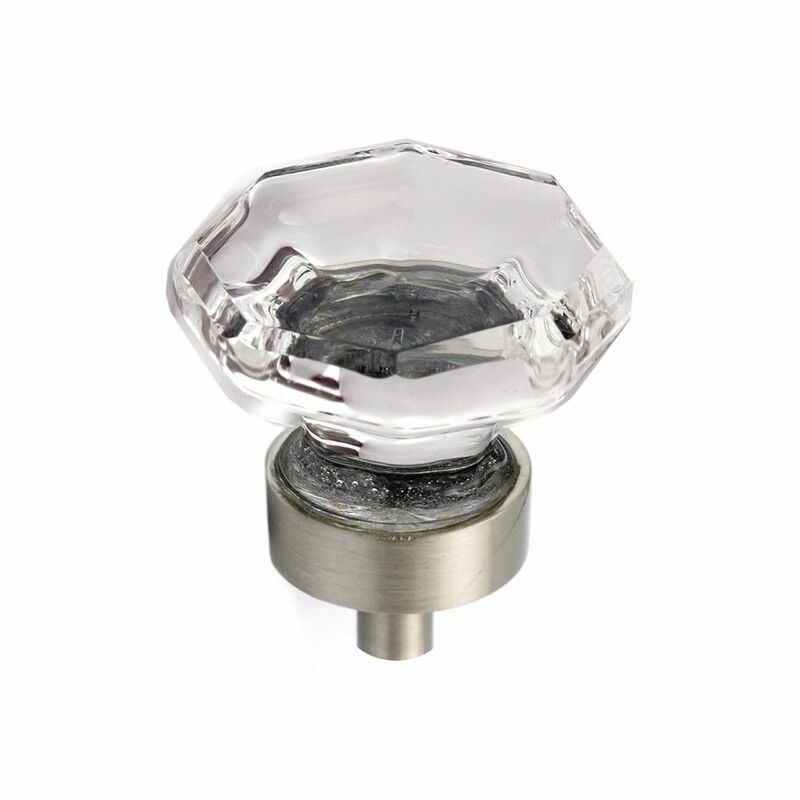 Eclectic Acrylic and Metal Knob 1 3/8 in (35 mm) Dia - Montreuil Collection Designed to suit a classic style, this acrylic and metal knob will add a touch of luxury and sophistication to your kitchen or bathroom cabinets. Eclectic Acrylic and Metal Knob 1 3/8 in (35 mm) Dia - Montreuil Collection is rated 1.0 out of 5 by 1. Rated 1 out of 5 by Mick8 from Don't Bother Some knobs were broken in the box, most broke during installation. Acrylic part does not adhere to its base well. Nice price but the glass version is much better.